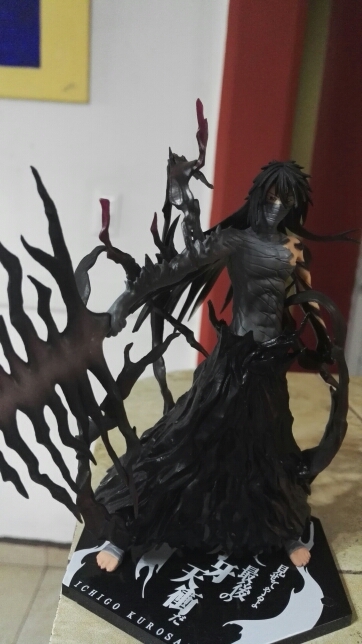 By using Getsuga Tensho technique, Ichigo becomes Getsuga (Moon Fang) itself. It is referred to as the “Final” Getsuga Tenshō due to the fact that, once used, Ichigo loses all of his Shinigami powers. For the duration of the ability, Ichigo’s hair color turns black and rapidly grows to waist-length. 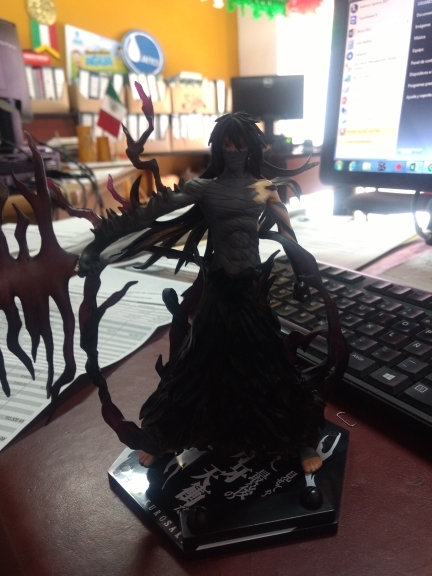 very good FIGURE, EVERYTHING is cool!! it is well detailed figure! 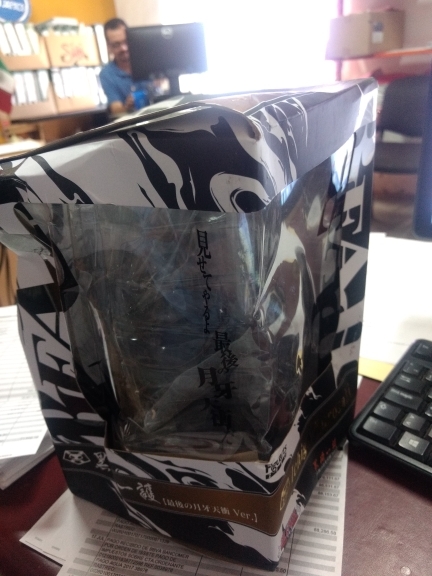 Package is little wrinkled, the figure is gorgeous. delivery time is short.